A Ford chassis carries this Forester 2501TS offering ample space thanks to three slide outs. 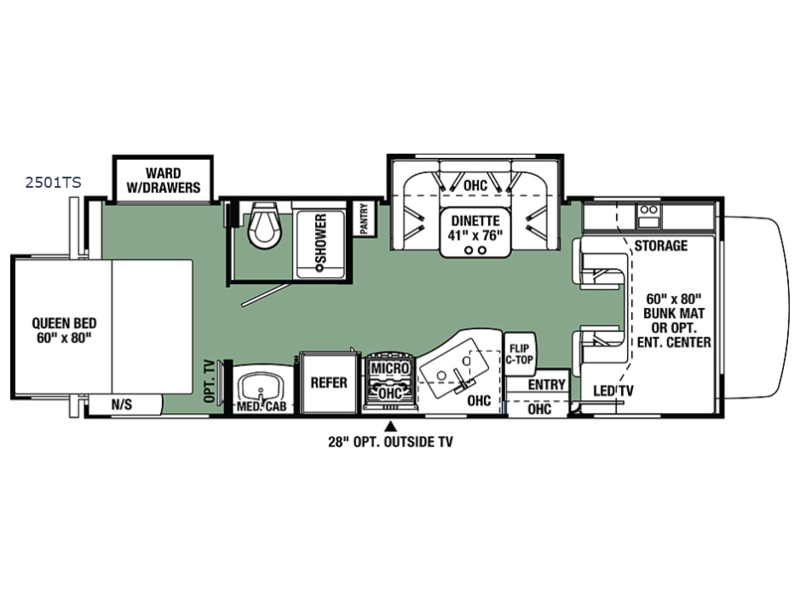 There is a 60" x 80" over the cab bunk that can sleep two individuals, the dinette can sleep two smaller individuals, and the queen bed can sleep two as well. 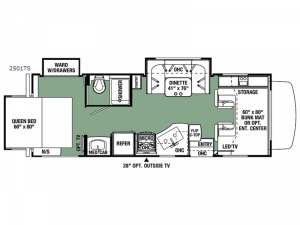 So you can take this motorhome on a weekend trip and have plenty of space for your friends and their things. There is a slide out wardrobe in the bedroom and overhead storage throughout this unit. If it is a cooler day, there is an LED TV in the front for watching movies, you also have the option to add a TV in the bedroom and outside if you would like.